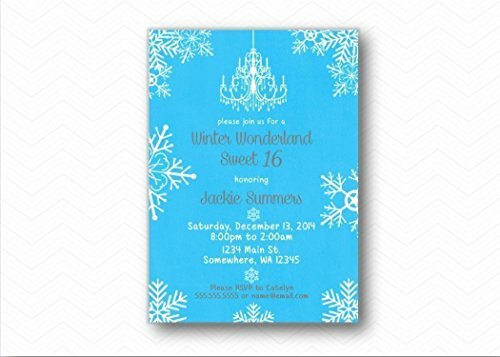 Winter Wonderland Snowflake Sweet 16 Printed Birthday invitations. Birthday Party Invites. Pink and Gold Blank Winter Wonderland Invitations and Envelopes. Set of 5. 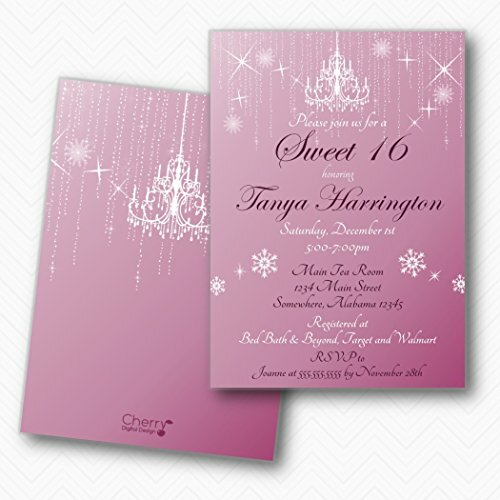 Premium Printed Wording and No-Shed, Real Glitter Snowflake Embellished Invites with White Easy-Seal Envelopes Included. These gorgeous pink and gold blank winter wonderland invitations are not your ordinary standard party invitations. Their unique design which includes premium printing, a no-shed, real glitter gold snowflake cutout adhered to it and large size make them unlike anything currently available on the market. And the easy-seal envelopes that are included make the sealing process oh, so simple! Literally all you have to do is press the envelopes down and they are done. No licking or wetting the seal. 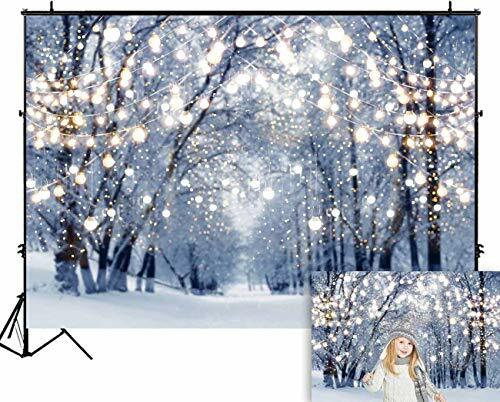 Use them for a Winter Onederland themed first birthday, Winter Wonderland Sweet 16 or any other special birthday bash with a winter theme. 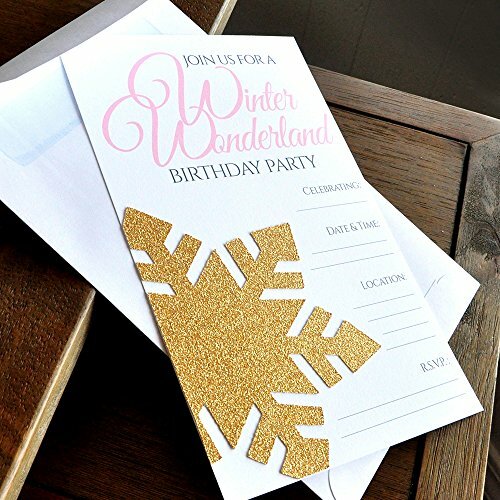 Invitation Wording: Join us for a winter wonderland birthday party Celebrating: Date & Time: Location: R.S.V.P: When mailing out these invitations to your party guests, these invitations can be shipped with standard postage. INCLUDED IN THIS LISTING: Set of 5 invitations (5.5" x 8.5") & easy-seal envelopes. Why should you order your own event fill in invitations?· Durable – Printed on Premium Cardstock· Easy to write on· One of a kind design· Generous 5 x 7 invitation size allows plenty of room for you to fill in the details· Designed and Made in the USA· Impress your guests with a beautiful invitation· 100% Money Back GuaranteeBONUS – The 5x7 event invitation provides much more room to write your event details on rather than a 4x6 size. PLUS, the back is left blank for you to write additional notes and directions! Use them as wedding invitations, rehearsal dinner invitations, party invitations, wedding shower invitations, dinner party invitations, engagement party invitations, birthday party invitations, anniversary invitations, bridal shower invitations, baby shower invitations, bachelorette party invitations, family reunion invitations and More!Why choose Hadley Design’s Invitations?· Hadley Design’s fill in the blank invitations are a customer favorite!· They are unique and different from the mass produced invitations.· It's the personal touch that make Hadley Designs invitations special.· Each invitation is handcrafted on heavy-weight extra smooth cardstock.· You will receive an exceptional product with meticulous attention paid to every last detail100% MONEY BACK GUARANTEE - If you aren't satisfied with your purchase or have any questions/concerns please do not hesitate to get in contact with us, we are here to help you. If you aren't happy with your purchase we offer a 100% MONEY BACK GUARANTEE, so your purchase is TOTALLY RISK FREE!ADD TO CART NOW AND BUY TODAY! 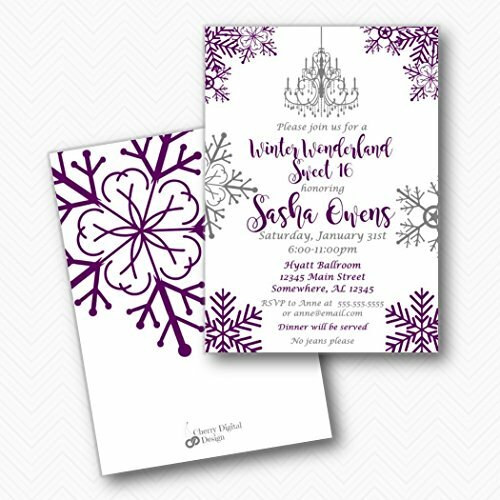 Thank your guests for joining you at your celebration with these Winter Wonderland - Snowflake Holiday Party & Winter Wedding thank you cards. This package of thank you cards are perfect for all you holiday parties! You'll love the style of our 8 pack of Lumberjack thank you cards, and 8 white envelopes are included in the package.Thank You cards are professionally printed on heavy-duty card stock paper with a photo-like shine, SIZE 5.5 inches by 3.75 inches, folded. The included envelopes measure 5.75 inches by 3.75 inches. Inside of thank you card stationery has a fun graphic as well as space to write a special note to family and friends.MADE IN THE USA: Thank You Cards are designed and manufactured at our Wisconsin facility using materials that are Made in the USA. Winter Wonderland thank you cards use a No-Mess Glitter Print: Our thank you cards are designed with a printed image of glitter, eliminating glitter flake while maximizing bling effect! The interior of this LPG Greetings Paul Brent Christmas card design reads: Warm Wishes for Happy Holidays and a Wonderful New Year. Each card measures 7x5 inches and is printed on heavy cardstock. The set includes 18 cards and 18 envelopes. The cards have the following special features: full color interior. From the LPG Exceptional Value line of cards. “Winter Wonderland Cardinals” by Paul Brent. Exceptional Value Collection by LPG Greetings. Made in the USA. 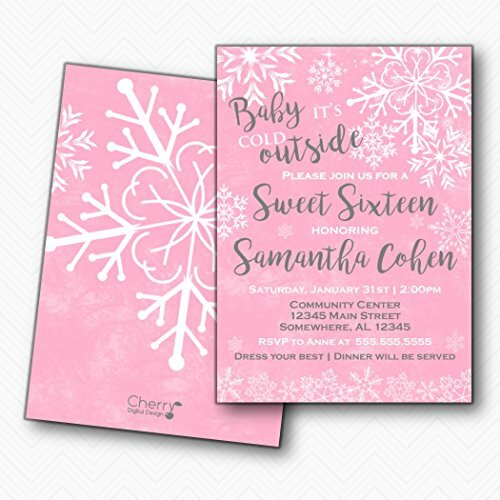 Premiere your Pink Winter Wonderland - Fill In Holiday Snowflake Birthday Party or Baby Shower Invitations with these unique invitations, which feature a classic design with a modern twist. Each folded invitation features our unique artwork, and includes space inside for basic party details. We even include white envelopes!The inside of each Pink Winter Wonderland holiday, baby shower or birthday party invitation has space to add your party details: For: Date: Time: Place: Given By: RSVP: PREMIUM PARTY INVITATIONS: Pink Winter Wonderland holiday, baby shower or birthday party invitations are professionally printed on heavy-duty card stock paper with a photo-like shine. They are then hand-folded and individually inspected, then carefully packaged with our exclusive squiggle flap envelopes.MADE IN THE USA: Pink Winter Wonderland Fill-In Holiday, Baby Shower or Birthday Party Invitations are designed and manufactured at our Wisconsin facility using materials that are Made in the USA. We use a No-Mess Glitter Print: Our invitations are designed with a printed image of glitter, eliminating glitter flake while maximizing bling effect! Invite friends and family to your birthday party with a ONEderland Invitations. These fun party invites are printed on sturdy card stock paper and have plenty of space to add the party details. Plus, their unique shape will be adored by all your guests. Each set of 12 shaped fill-in invitations also includes 12 white envelopes, making it easy to get your party invitations into the mail. Begin planning the perfect party with these party invites!The back of each ONEderland birthday party invitation has space to add your party details: For: Date: Time: Place: Given By: RSVP: PREMIUM PARTY INVITATIONS: Snowflake party invitations are professionally printed on heavy-duty card stock paper with a photo-like shine. They are individually inspected, then carefully packaged with our exclusive squiggle flap envelopes, making this ONEderland stationary set a must-have for any birthday party.MADE IN THE USA: ONEderland - Birthday Party Shaped Invitations are designed and manufactured at our Wisconsin facility using materials that are Made in the USA. Onederland Fill-In Invitations use a No-Mess Glitter Print: Our invitations are designed with a printed image of glitter, eliminating glitter flake while maximizing bling effect!